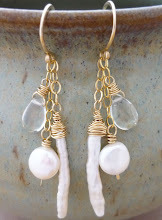 MiShel Designs: Client Spotlight - Sharing some LOVE! Client Spotlight - Sharing some LOVE! 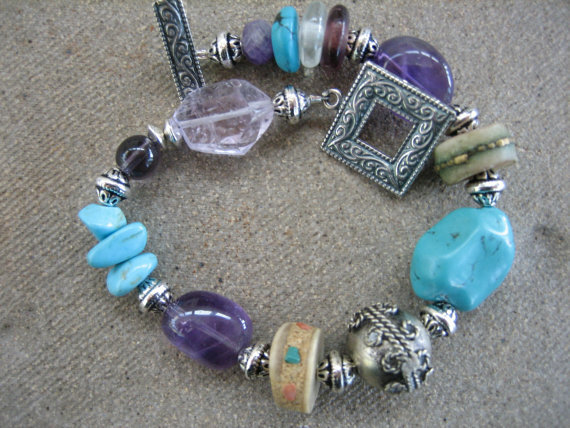 It's that wonderful time again when I get to shine some light on another jewelry designer who happens to be one of my clients. 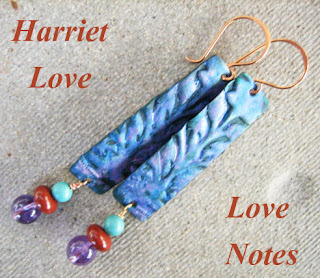 Harriet Love, with Love Notes over on Etsy, (Love the play on her name!!) has some unique and very eye-catching designs in her shop. Harriet uses some of my ear wires from my Shel's Jewelry Supplies shop on Etsy in her jewelry creations. 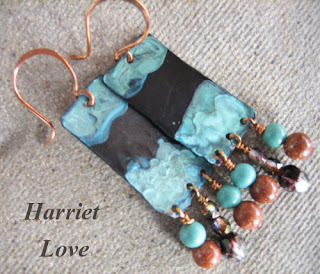 I think Harriet's background is quite fun - just like her jewelry designs. She opened the first vintage clothing shop in Greenwich Village in New York and then she penned the book, "Harriet Love's Guide to Vintage Chic". After that came her vintage inspired clothing and jewelry store in Soho. 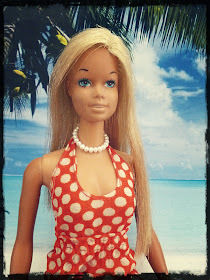 Talk about experience in fashion and retail - Harriet's got it! Harriet's eye for color is something else, too. 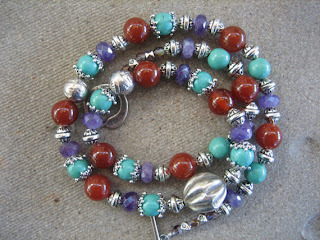 She combines these rich, full-bodied colors and mixes in textures and shapes that make your eyes squeal with delight! 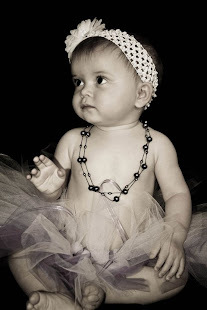 Beautiful is an understatement! Of course, I'm a bit partial to blues and reds and coppers so of course I'm happy that my ear wires get to be part of such awesome designs! 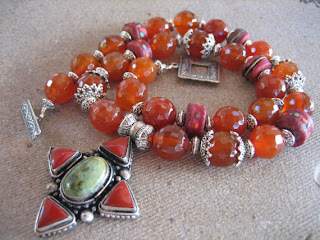 Harriet has some gorgeous necklaces in her shop, too - like these here - oh my! I love how the purple pops right out to greet you in this one, don't you? And I'm not usually that much of a purple person. Just goes to show you what a good combination of colors, textures and materials can do for a design! 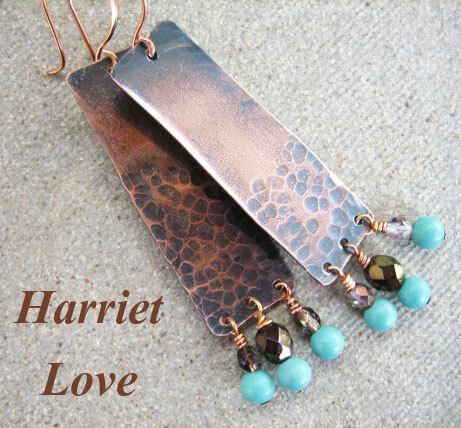 Hop on over to Harriet's shop and show her some LOVE,...won't you?! Get it,...Love? I knew you would!! Peace, LOVE and Eye Popping Colors! She does have an eye for color. Thank you for sharing. The truth is that they are wonderful, excellent designs. Greetings.